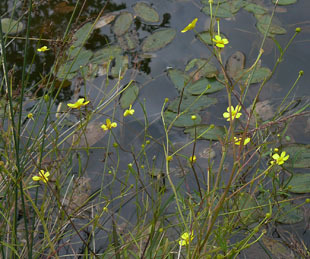 in marshes, water meadows and bogs. 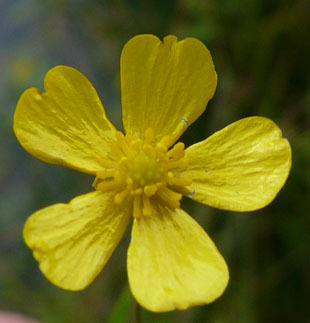 50cm, or low and spreading. 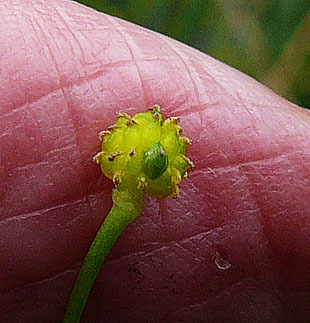 half the width of Greater Spearwort). 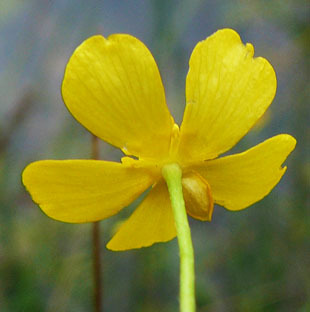 It looks like a buttercup, complete with loose sepals. 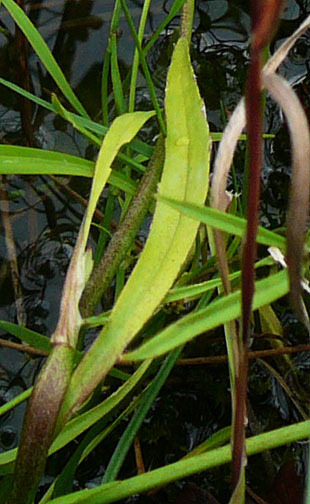 Leaves are lanceolate / linear and slightly toothed. It spreads by runners (stolons) that root at the leaf nodes.